Posted by Null in Academic, Books, HRM. When I was being assigned from my University to teach International HRM, I browsed in some online bookstores to find textbooks. But surprisingly, there are not enough of textbooks in this field of study. However, I first tried with some multidisciplinary HR textbooks but those did not help me. 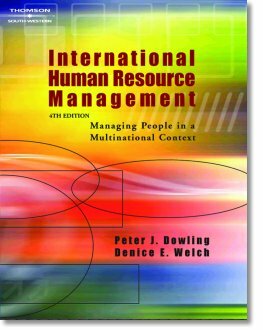 Eventually, I found a textbook by Dowling and Welch “International Human Resource Management: Managing people in a multinational context” which I thought to be a general HR textbook with some international contexts and cases. But after reading the book I soon realised the quality of work in that book. The book chapters covered interesting topics like repatriation, cultural adjustments, pre-departure training, etc which are all related with expatriates, TCNs and HCNs. I will definitely recommend this book to all HR practitioners and academics. The book can be bought from Thomson Learning or you also have quick look at their companion website. You can also try International Human Resource Management by Dennis Briscoe and Randall S. Schuler. But I would highly recommend Dowling and Welch’s textbook. If you want to try before you buy, you can download a sample chapter of the book for free. 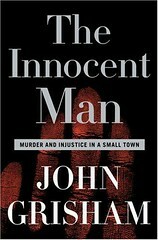 Posted by Null in About Blogs, Books. Yesterday I was browsing the blogosphere and ended up with a very thougtful journal posted by Thomas on his blog. He talked about organisational identity and how blogs can help firms in creating identified employees. The topic is a must read for someone who is interested in corporate blogs. If possible try reading the book “Identity in Organizations” edited by Whetten and Godfrey. A serious organisational blogger should read this book. In order to get started effectively with a corporate blog, it is worthwhile to have some research about the content and styles. 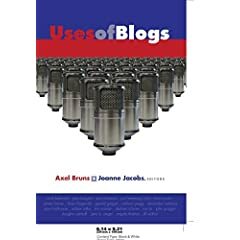 “Uses of Blogs” by Axel Bruns and Joanne Jacobs is a good preliminery reading about blogs. In addition, Debbie Weil’s “The Corporate Blogging Book” can be handy for getting some tips on corporate blogs. The first chapters of both the books are provided free to download in pdf format. So when you are ready to start a corporate blog for your organisation, think whether you you would go for an external or internal blog or both of them. As we have already discussed about the benefits of external and internal blogs, you must also look at the cons of both the types before you start your organisational blog.